difficulty concentrating, increased appetite and weight gain). 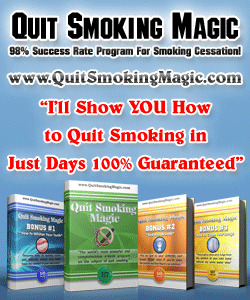 For most individuals, these symptoms peak within a few days of quitting and dissipate within 1 or 2 weeks. (4) The physician can help the patient identify "high-risk" or dangerous situations. These are events, internal states, or activities that increase the risk of smoking or relapse due to their past association with smoking (e.g. negative emotional states, being around other smokers, drinking alcohol). These situations should be avoided early on, if possible. (5) The physician can help the patient select cognitive and behavioural coping skills to use when she experiences an urge (or "craving") for cigarettes. Examples of cognitive coping skills are: reminding him/herself reasons for quitting; telling him/herself that urge will pass; and repeating the phrase, "Smoking is not an option." Behavioural coping skills include: leaving the situation, engaging in some distracting activity, taking deep breaths, and seeking social support. The physician should also provide support within the clinic by: (1) encouraging the patient in the quit attempt (e.g. remind the patient that effective tobacco dependence treatments are now available; underline that one-half of all people who have ever smoked have now quit; communicate belief in the patient's ability to quit); (2) communicating caring and concern (e.g. ask how the patient feels about quitting; directly express concern and willingness to help; be open to the patient's expression of fears of quitting, difficulties experienced, and ambivalent feelings); (3) encouraging the patient to talk about the quitting process by asking the patient's reasons for quitting, concerns or worries about quitting, success the patient has achieved, and difficulties encountered while quitting. Eventually, the patient should be assisted with obtaining social support outside of the clinic environment. The clinician should train the patient in solicitation skills (e.g. practice requesting social support from family, friends, and co-workers; help for a patient in establishing a smoke-free home) and prompt support seeking (e.g. help the patient identify supportive others, inform patients of community resources such as hotlines). A busy physician may be tempted to hand one or more of the available self-help booklets to a smoker, instead of providing the personal advice called for by the "5 A's". However, clinical practice guidelines found that there was insufficient evidence for the effectiveness of the use of self-help materials alone .